Call (850) 466-8734 to Make an Appointment Today and Put an End to Your Lower Back Pain! Not only is being involved in a car accident a terrifying incident in which time seemingly stands still, but it also affects your life long after it is over. From back pain to whiplash, and every pain in between, you can become extremely limited in your range of motion and quality of life. If you want to go back to living your life with the freedom of motion you used to have, call Roberts Chiropractic Center today to begin your chiropractic treatment with local chiropractors you can trust. Since 1957, we have been helping people with their back pain, neck pain, shoulder pain and more in the Pensacola, FL area. Did you know that 8 out of 10 adults suffer from lower back pain by the time they reach 45? There are many reasons for this, be it genetics or improper lifting of heavy items, type of work you do, etc. 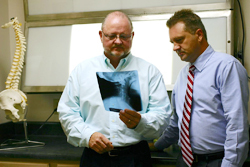 After a consultation with Dr. Thomas Roberts or Dr. Jeffrey Noon, our qualified chiropractors, you will get a personalized plan of care for your back, free of pain medications or surgery for your optimal health. Our spinal readjustments are just the solution you need to end the constant aching you feel. If you need a DOT Physical or a Sports Physical for the next season, we are fully qualified to complete these exams for you. We have worked with many school and Olympic athletes to ensure they are ready for the next season, and double check to make sure you are all set to drive. At Roberts Chiropractic Center, we are also certified to conduct DOT Drug and Alcohol Testing. Same day appointments are available and we also welcome walk-ins. Don’t wait any longer when it comes to living a pain-free life. Call (850) 466-8734 to schedule your appointment today. 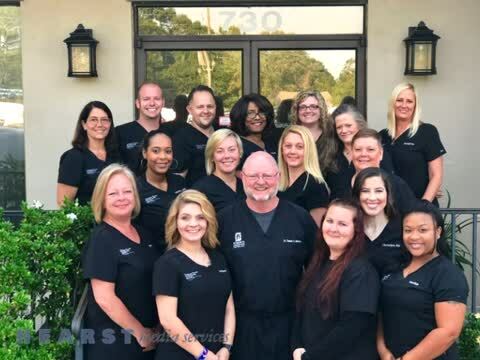 We Can Treat or Provide Services For: Auto Accident Injuries, Chronic Neck Pain, Chronic Shoulder Pain, Sports-Related Injuries, DOT or Sports Physicals, and More in Pensacola, FL.